Bollywood actress Rani Mukherji’s father, Ram Mukherjee passed away at his residence on October 22, 2017. 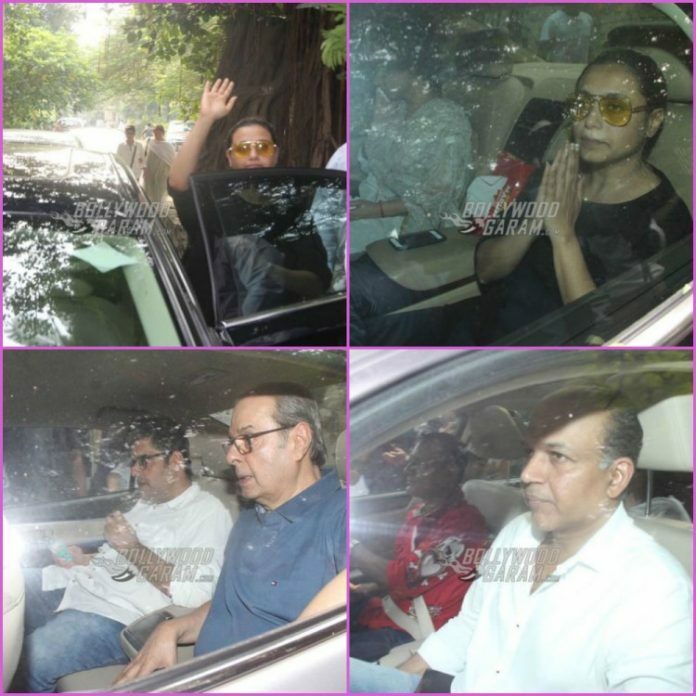 Daughter Rani Mukherji along with husband Aditya Chopra was seen attending the last rites. 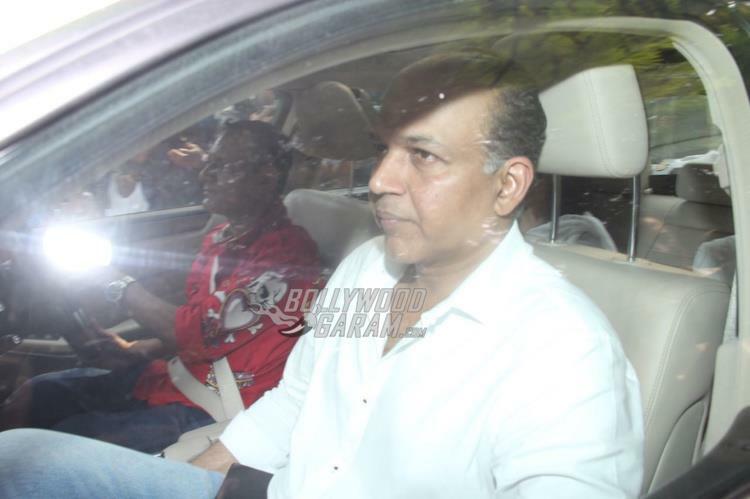 The Saathiya actress was seen in her car in a black outfit with yellow sunglasses. 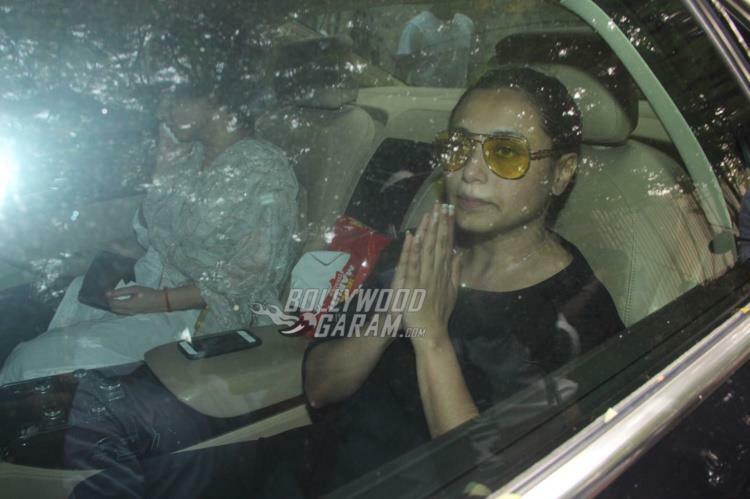 Rani also waved for the paparazzi who clicked her. Ram Mukherjee was one of the founders of the popular Filmalaya Studios located in the Mumbai city. He has been a producer, director and screen writer in Bengali as well as for Hindi cinema. Late Ram Mukherjee had directed and produced daughter Rani’s films like Biyer Phool, which was a Bengali film in 1996 and her Hindi film Raja Ki Ayegi Baraat in 1997. As a director, Ram Mukherjee has worked on the movies, Raktalekha, Ek Bar Mooskura Do, Leader and Hum Hindustani. 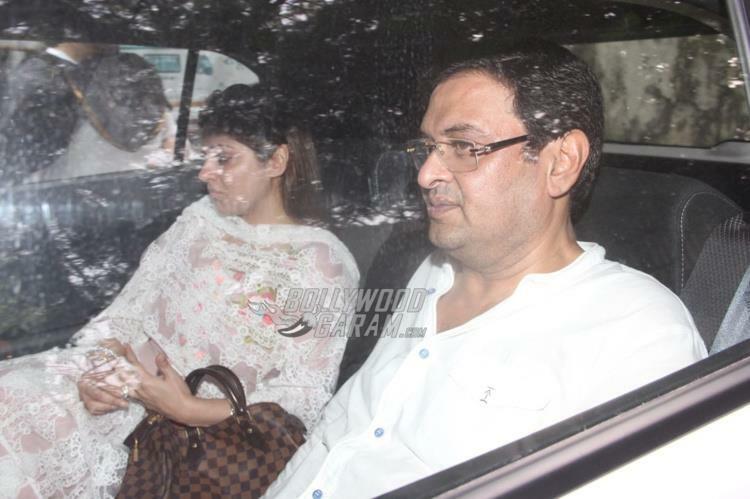 Celebrities from Bollywood were snapped attending the funeral ceremony held in Mumbai. 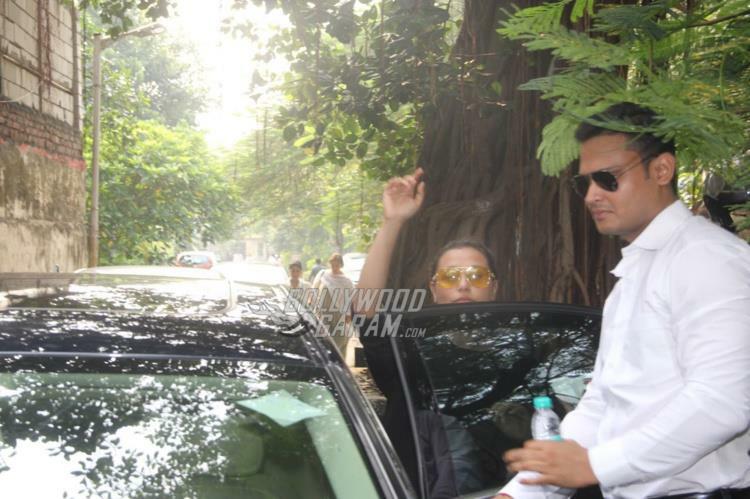 Aamir Khan and Ranveer Singh were seen arriving together for the funeral. 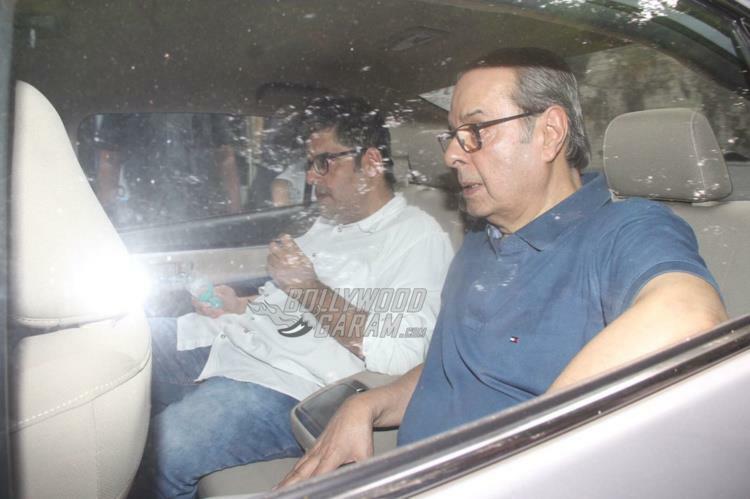 Exclusive photos from the funeral of Ram Mukherjee attended by friends and family!